Back From the 2013 D23 Expo! The amazing Maureen O'Hara turns 93 today. O'Hara was born in Ireland on August 17, 1920. There's much more about this wonderful actress in my 2010 birthday tribute. O'Hara starred in two of my favorite John Wayne films, RIO GRANDE (1950) and THE QUIET MAN (1952); one of my favorite Christmas movies, MIRACLE ON 34TH STREET (1947); and one of my favorite Disney live-action films, THE PARENT TRAP (1961). I'm tremendously appreciative of her work in these films as well as the many other entertaining movies she made over the course of her long career. O'Hara is truly a one-of-a-kind actress. Maureen O'Hara films previously reviewed at Laura's Miscellaneous Musings: DANCE, GIRL, DANCE (1940), THE BLACK SWAN (1942), MIRACLE ON 34TH STREET (1947), COMANCHE TERRITORY (1950), FLAME OF ARABY (1951), THE QUIET MAN (1952), AGAINST ALL FLAGS (1952), THE REDHEAD FROM WYOMING (1953), and WAR ARROW (1953). Update: Reviews of HOW GREEN WAS MY VALLEY (1941) and SINBAD THE SAILOR (1947), plus accounts of seeing her on two occasions at this year's TCM Classic Film Festival. And here's this summer's post on Maureen when she was the Turner Classic Movies Star of the Month. 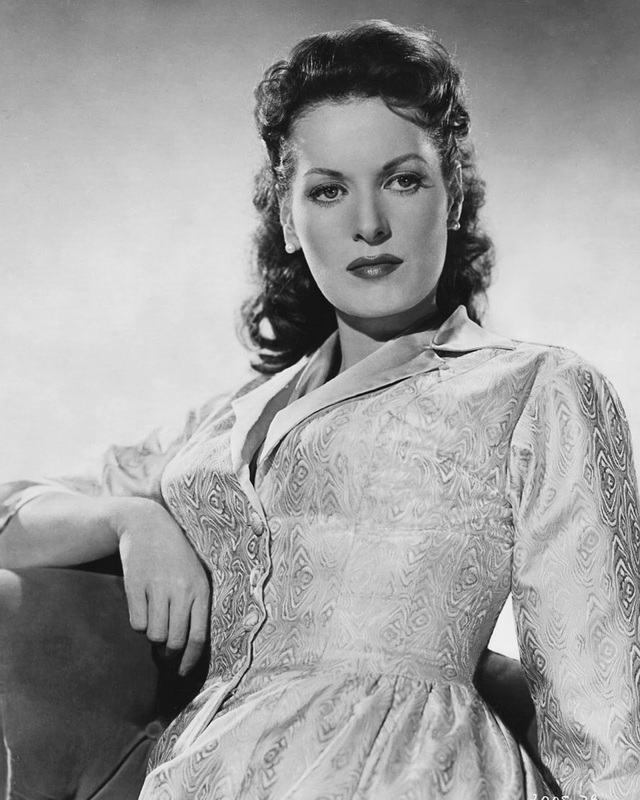 October 2015 Update: A new tribute to Maureen O'Hara, who has passed away. "I am not unauthorized. I'm Trooper Jefferson Yorke's mother." No one else could have said that line like the wonderful Maureen O'Hara. Laura, we of Team Bartilucci HQ have loved Maureen O'Hara since we and many of our friends and relatives since we all watched THE QUIET MAN on St. Patrick's Day (our family is of both Irish and Italian descent), and we've been fans of hers ever since! We hope this wonderful lady had the wonderful birthday she deserved for her 93rd birthday, with love and laughter with her loved ones!